This unit shows light to moderate signs of use, including scratches on the screen and back casing, along with possible dents and light discoloration on the casing. This unit does not include the AC Adapter or Lightning Cable. Apple iPad Pro 2nd Gen. 256GB, Wi-Fi, 12.9in - Space Gray. Accessories Ipad 1 Ipad 2 Ipad 3 Ipad 4 Ipad 5th - Ipad 2017 Ipad 6th - 2018 Ipad Air 1 Ipad Air 2 Ipad mini 1 Ipad Mini 2 Ipad Mini 3 Ipad Mini 4 Ipad Pro 10.5" Ipad Pro 12.9" Ipad Pro 12.9" 2nd gen Ipad Pro 9.7" Iphone 6 Iphone 6 PLUS Iphone 6s Iphone 6s PLUS Other Salvage Condition. Apple iPad Pro 10.5 64GB, Cellular Ver. (Unlocked), With Apple Pencil apple smart Keyboard. Ipad pro 10.5 rosegold unlocked 64g in a good shape. (Ipad 779 apple pencil 99 smart keyboard 159 case 15 screen protector 20). Apple iPad Pro 10.5" Tablet (Wi-Fi Only) A1701 - 64GB/Rose Gold (MQDY2LL/A). Supports Apple Pencil and the Smart Keyboard. (3) Wi-Fi. Even better. Apple iPhone XS Max. Apple iPhone XS. Apple iPhone X.
Apple iPad Pro 2nd Gen. 64GB, Wi-Fi, 10.5in - Silver w/ Apple Pencil and Case. Condition is Excellent. Apple pencil has a small scratch, refer to picture #5. 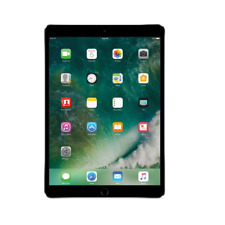 ITEM: Apple IPad Pro 10.5 2nd Gen. 512GB, Wi-Fi Cellular (Unlocked), 10.5 in - Space Gray. o Unit is unlocked with no sim card. o for AT&T service you do not need a sim card but for other carriers you will need to use a sim card in the ipads open slot. Apple iPad Pro 2nd Gen 10.5" 64GB Wi-Fi Gold MQDX2LL/A - New Sealed. Apple iPad. Apple Macbook Pro. Apple Macbook. Apple Macbook Air. Apple iMac. Apple Mac Mini. Apple Watch. Apple iPad Pro 2nd Gen. 256GB, Wi-Fi, 10.5in - Rose Gold (CA). Comes with Apple Smart Keyboard and clear back cover from Amazon. Condition is Used. Originally bought for $960. Shipped with USPS Priority Mail. Trending at $671.65eBay determines this price through a machine learned model of the product's sale prices within the last 90 days. 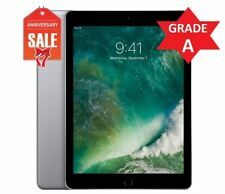 Apple iPad Pro 2nd Gen. 64GB, Wi-Fi, 10.5in - Space Gray (CA). Condition is Used. Shipped with USPS Priority Mail. Comes with: fast charger and cable, Apple Pencil, Apple Smart Keyboard, and silicone case. Apple iPad Pro 2nd Gen. 256GB, Wi-Fi, 10.5in - Rose Gold. Condition is New. Model: Apple iPad Pro (2nd Generation). Color: Gray. Trending at $559.00eBay determines this price through a machine learned model of the product's sale prices within the last 90 days. Trending at $839.99eBay determines this price through a machine learned model of the product's sale prices within the last 90 days. IPad works perfect. Black Otterbox Case. Item Condition. Trending at $621.20eBay determines this price through a machine learned model of the product's sale prices within the last 90 days. Condition is Used. Includes Apple Pencil and black Smart Cover. 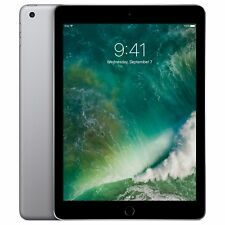 iPad Pro 10.5 Silver-256gb Unlocked. Trending at $629.66eBay determines this price through a machine learned model of the product's sale prices within the last 90 days. 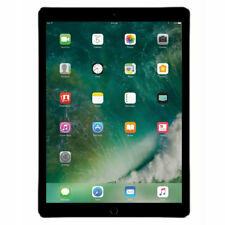 Apple iPad Pro 2nd Gen. 64GB, Wi-Fi, 12.9in - Space Gray - MQDA2LL/A in good working order. iCloud is not locked. This iPad Pro is in mint condition with no scratches or marks of any kind.